Kunal Jai Singh is an Indian TV actor and model who bagged immense fame with the show "The Buddy Project" aired on channel V. This led him to get the chance to work on some more TV serials like Doli Armaanon Ki etc..He loves to play snooker and also a big buff of music. His nickname is Kunj. We can currently see him playing the character of Omkar in the serial called "Ishqbaaz" airing on Star Plus channel. 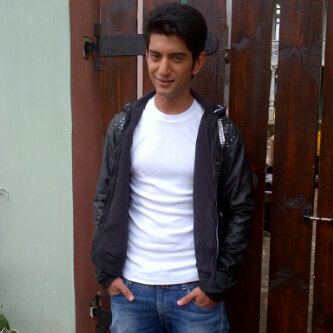 Kunal Jaisingh was born in Mumbai ( Maharashtra, India ) on dated 29th of July 1989 and has completed his degree from H.R. College of Commerce and Economics. He is 5 feet 10 inches long and weighing 72 kilos. He started his television career with the serial "Mann Ki Aawaaz Pratigya" followed by "The Buddy Project". He is currently working in the TV serial Ishqbaaz as airing on Star Plus channel. He is playing the role of Omkar in the show. He really loves to date with Deepika Padukone and Hollywood actress Emma Watson. Kunal Jaisingh is single till now and not sharing any relationship with anyone. She is currently focusing on his career completely.